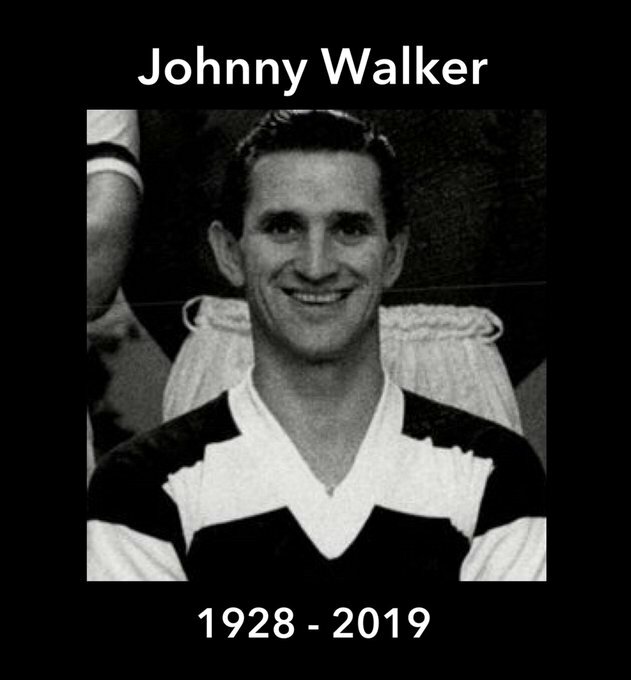 We at Wolves Heroes have been saddened to hear about the death of free-scoring post-war Molineux favourite Johnny Walker at the age of 90. Johnny Walker (front left) with Billy Wright, Bert Williams and Ray Chatham on a team photo. The Scottish-born forward had a relatively short stay in the West Midlands on what was only his second excursion south of the border – but established an enviable record nonetheless. First-team opportunities were often hard to come by because of the competition provided by Peter Broadbent, Jimmy Dunn, Dennis Wilshaw, Sammy Smyth and others but no-one can say he didn’t capitalise on his chances when they came along. He scored 26 times in only 44 League and Cup games for the club and was part of the back-up contingent when the glory years kicked off with the winning of the FA Cup in 1948-49. Signed after impressing manager Ted Vizard’s scout George Noakes while playing for Glasgow club Campsie Black Watch in 1947, Walker, who had done his national service in Cirencester in the Cotswolds, made his debut in a 1-0 home win over Portsmouth in February, 1950. Angus McLean highlighted a rare outing in attack by netting the decider that day but it wasn’t long before the First Division new boy made a big mark of his own on the score-sheet. He struck twice in an emphatic victory over Derby a week later and added another brace in a conquest of Arsenal as part of his opening salvo of eight goals in 12 games up to the end of the season. He might even have been a League champion that spring but Stan Cullis’s side were pipped to the title on goal average by Portsmouth. 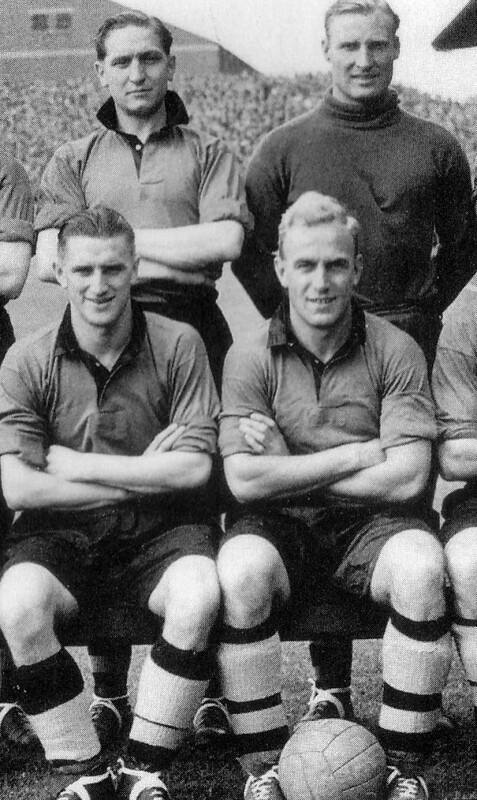 The 1950-51 campaign that followed was Johnny’s best for Wolves, 27 appearances in the senior line-up bringing him a handsome return of 16 goals, including a best-in-the-club five in an FA Cup run that led to an unlucky semi-final defeat against Newcastle. He scored at every stage of that journey apart from round five at home to Huddersfield, his goal in the last-four replay against eventual Cup winners Newcastle failing to stave off a 2-1 defeat at the Terriers’ old Leeds Road ground. Walker was prolific on the end-of-season tour to South Africa in 1951 but even that sort of contribution was not enough to nail down a place in the months following the squad’s return home. Such was his love of Wolves that he turned down a move to Luton as he became a peripheral figure but Southampton’s approach was more successful and he was whisked south for a £12,000 fee. He was a success at The Dell, too, with 48 goals in 172 games and, after subsequently signing in 1957 for two years at Third Division Reading, he ended up staying for seven and a half. His 318 Royals appearances before retirement in 1965, a substantial number of them as captain and some in a new role at full-back, have seen him named much more recently among their top 100 players of all time. He also contributed 27 goals to the cause, 14 of them as the epitome of coolness from the penalty spot, and went on to coach their reserves and youth team on a part-time basis before leaving football altogether. Football historian David Downs described Walker as ‘one of the most charismatic and inspirational skippers Reading have ever had’, pointing out that he also played at Elm Park as a right-winger and wing-half before becoming a regular full-back. As celebrated this week in the Home Counties. He has also written of the time, in Johnny’s later playing days, when his team-mates played a trick on him before a game at Wrexham by persuading him to remove his false teeth and then telling a gateman he was just a supporter trying to bluff his way into the ground. Following a spell working for the Royal Mail in Caversham, he spent his retirement living in Theale, where he became a fond acquaintance of the Wolves supporter who relayed this week’s sad news of his passing-away. Jon Lockley was one of the members of the original Wolves Fans Parliament and told us: “About three and a half years ago, I moved down here to be closer to work in London and dropped into a pub called The Crown to watch a Wolves game. “I didn’t know how the locals would take to a bloke with a funny accent cheering Wolves on but, not long into the game, an older chap beckoned me over and asked if I followed them. I said I did and his face broke out into a huge grin. “From his jacket pocket, he produced some Wolves team photos dating back to the 1940s and 1950s. I’d seen some of them before in magazines and on websites but then he held one up to his face, grinned again and asked if I recognised anyone. To say I was gob-smacked when he introduced himself as Johnny Walker and pointed himself out would be an understatement! Up to relatively recent times, Walker regularly attended Reading Former Players’ Association functions and it is through his long-time involvement with the Molineux equivalent that we and others in the Wolves family were most familiar with him. Wolves Heroes co-owner David Instone said: “Although Johnny once told me that he had drunk only coke since giving up alcohol just before the 1976 FA Cup final between Southampton and Manchester United, he clearly loved company and a good time. “More than once, I remember him doing a little singing turn at gatherings up here and he clearly relished being among his old friends. Johnny pictured in recent years by our friends in Reading. 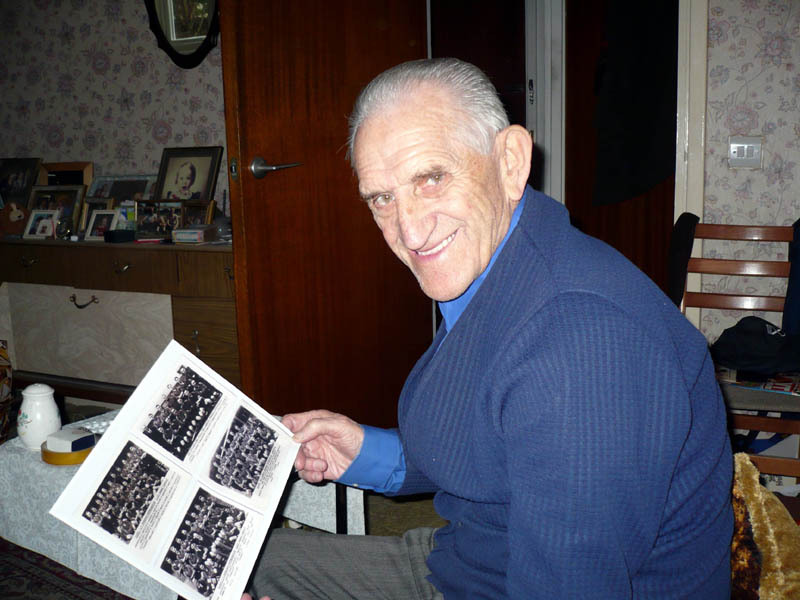 It was only last month that Johnny, who also had a spell in non-League football with Amersham Town, had succeeded Bill Slater as the oldest surviving former Wolves player. Posted on: Saturday, January 26th, 2019.